Last December, I wrote an article about Rupert Murdoch’s plans to move his properties behind paywalls, under the assumption that a small number of paying customers is more profitable than an enormous number of freeloaders. The Times UK newspaper was at the forefront of this experiment, and its publishers have just released their first set of numbers showing traffic and subscription rates. Has the paywall been a success? In terms of traffic, no. But in terms of actual revenue, the results are surprisingly good. Having lots and lots of traffic does you no good if you can’t monetize it. It’s just extra bandwidth costs. Having a massive drop in readership can actually help save a publication . . .
News International announced this morning that it has secured 105,000 sales from people who have paid to access either the papers’ websites and/or its iPad and Kindle apps. In addition to digital-only subscribers, a further 100,000 print subscribers have activated their digital accounts. Allowing for “some duplication” in the totals, the company is therefore laying claim to “close to 200,000” digital users. Around half of the 105,000 total are monthly subscribers, though it is uncertain whether that applies to website users or iPad users. But the company says that “many of the rest” are single-copy pay-as-you-go customers. According to comScore, the Times UK website saw its online readership decline by 4 million unique visitors a month worldwide to 2.4 million, or a 62 percent drop. Pageviews fell off an even steeper cliff, plummeting 90 percent from an estimated 41 million in May, 2010, to 4 million in September, 2010.
. . . the newspapers have been cut off from the news flow on the broader Internet, and the potential benefits of attracting links and commentary from other sites that could help to promote their content. What did they give up in online advertising revenues? At 41 million estimated pageviews a month, assuming a $5 CPM (cost-per-thousand-impressions), that was only $200,000 a month in online advertising revenues. Hmm, $9 million in subscriptions versus $2.4 million in advertising? I know which I’d choose. To further tip the scales, note that Schonfeld’s numbers assume they were selling 100% capacity (highly unlikely), and it ignores any ad revenue still booked by the paywalled site. There’s an argument to be made that the Times‘ customers have shown they have expendable funds and they’re willing to buy online products, making them more attractive targets for online advertisers, potentially increasing the rates the Times can charge. Obviously this is still early in the experiment. It’s unclear if the Times can maintain this level of subscribers, or even increase it, nor whether these sorts of levels of revenue are enough to sustain a newspaper business. It has shown, however, that there’s great potential in narrowing your audience and that the conventional internet wisdom may not be all that accurate. Say what you will about Murdoch’s dodgy politics or his cynical simultaneous exploitation of “family values” and sleaze, but at the very least I think we can dismiss the notion that he’s out of touch with modern business models. There are rumors that this is just the first step in his plans to bundle together his television, print and digital services together into what might become a dominant package. Now if he can only figure out how to make money from MySpace…. 19 Thoughts on "The Upside of Paywalls Revisited — Now With Actual Data"
There are a lot of wrong numbers flying around the blogosphere. First of all, timesonline.co.uk did a LOT more than 41m pageviews. In Feburary 2010 their audited figures were 140m page views. Plus they had at least 3 ads per page, so that’s 420m ad impressions. Of course they wouldn’t have a 100% sell through rate, but still – that should be more than $9m in revenue! Secondly, their released sales figures were cumulative, over four months. That’s 105,000 sales over four months. Bare in mind that practically every ‘one off’ transaction would have been £1, and that a large percentage of the ‘subscriptions’ sales would have been the £1 for 30 days trials, and that they had a billing problem with the ipad giving 3 months for £9.99, it doesn’t add up to very much at all. My estimate is £90-100k a month. And that’s while they’re spending millions on TV and outdoor advertising. It’s going to go down before it goes up. Do you have links to the figures stated above? I’d love to see them in comparison to the Guardian and TechCrunch’s analysis. 140M pageviews with 3 spots per pageview = 420 M potential ad spaces. If you figure $5 CPM (not in touch enough with the newspaper industry’s advertising rates to know how accurate this is) = $2.1 M per month, if 100% of revenue is sold. If that’s steady for 12 months, you get $25.2M in advertising revenue per year. The NY Times notes a study showing that less than 50% of ad inventory is sold for high end newspapers. If the Times is average in that group, then the revenue is reduced to $12.6M per year. Applying those same numbers to the current rate of pageviews, the 4 million per month translates to 14 million, $210K in advertising revenue per month, $2.52M per year, at 50% capacity = $1.26M per year. So essentially, advertising revenue drops by a factor of 10. Now, the veracity of the press release’s numbers as far as subscriptions goes is known only to News Corp. The question then has to be, is it possible to sell at least $11M per year worth of subscriptions to break even to the point where you were before. Using the theoretical numbers from the Guardian and TechCrunch, they have $9-9.6M in revenue. It doesn’t seem too big of a stretch in growth to get to $11M–is there more potential for growth in subscriptions than there is in ad revenue? Even if it’s declared a failure, the Times can pretty easily revert back to where it was when the experiment started, so you figure it’s worth a shot, given that things aren’t sustainable as they currently stand. The Guardian and TechCrunch’s revenue estimates are wrong by as much as a factor of four, as they haven’t accounted for the fact the figures were cumulative sales transactions, not monthly subscribers. Full press release is here. Reading it over, I do get the feeling that the BBC and others bought into the use of the present tense to imply that 50,000 are subscribers, rather than that 50,000 of the total come from subscribers. If there’s an awards ceremony for best Press release of the year, then this one must be up there. It seems to have fooled absolutely everybody. The key here is in the word “sales”. Note that. Not subscriptions. 100K are coming in as a result of their print subs. If you are a 7 day print subscriber (or get it delivered) then you get the online version for free – So 100K of the visitors mentioned in the PR bring zero additional income. And there’s a difference between ‘activated’ and used of course. Let’s look at the rest. Let’s now look at the other 50K that are subscribers of some sort. The press release is talking about sales, because they want to pick up on monthly renewals and account for churn etc. Think about that. What it means is that those 50K ‘subs’ must also be split across the 4 months the paywall has been running. Ever since launch, you can try the times for £1 for 30 days (which in my mind makes the pay per view numbers worthy of closer scrutiny – £1 for a day or £1 for 30 days and no lock in, which might you choose?). Now we don’t know the churn rate, but if we assume that for everyone that leaves, a new sale is made, then there’s a population of 12.5K users paying either £8.66 per month, or £9.99 per month (iPAD). That’s £1.3 Million per year. Add in the PPV and you’ve got just less than £1.5 Million per annum. That’s my reading of the numbers, based on what I understand them to mean. Frankly I don’t get where the Guardian or the others have got their higher figures from – I think they missed the cumulative aspect of the sales and assumed 105K subscribers per month. That’s NOT what the PR says. Now the WSJ does allow you in to see individual articles via bloggers etc. The Times does not. That’s reflected in the traffic I think. The WSJ is niche and can charge for its information. The Huffpo makes money via advertising (and I think it is just profitable) The Guardian is making a big play to transition into a hub of linked data, journalism and various services – They think the money is to be found there. The Times, they’ve pulled up the drawbridge and hoped the world will go away haven’t they? There is an Amazon Kindle-esque nature to the obscurity of the numbers offered in the press release. Such is the state of spin these days. If, as you note, you want to discard all revenue from print subscribers, one should also then discard all expenses generated by the print product. If you’re already producing a print version of the newspaper, then how much more does it cost to produce the online version? That could make a much smaller number of online subscribers able to sustain the online version. Not sure you can separate things out this way. It’s the sort of thinking that leads customers to erroneously think that an eBook should essentially be free because you’ve already done all the work to make the print version. The publishers now say the total paid audience so far is close to 200,000, allowing for duplications in subscriptions. This is, of course, coming from News Corp. so believe at your own risk. I think the Google Trends info is fairly irrelevant for this business model though. It’s not based on generating huge amounts of freeloading traffic via Google searches. No surprise to see what those links show. The Huff Post is profitable, but their business model is based mostly on maintaining a staff of thousands of unpaid bloggers and selling expensive “sponsored posts” which probably aren’t real good for a newspaper’s credibility. Not sure how sustainable either is in the long run, nor how widespread a practice it could become. The WSJ is in a good place, I agree–creating unique content for which there is strong demand is the most solid strategy out there–though it’s almost antithetical to the way newspapers have been run for the last decade or two, where cutting costs has been favored over producing quality. The Guardian’s big play seems a bit vague to me, and at least as risky as the Times’, if not moreso given the increased costs incurred. Worst case scenario, the Times can always revert back to being freely accessible and traffic will return to previous levels, so I don’t see much of a downside. It’s an important experiment, regardless of success or failure. The current state of newspapers is unsustainable, all avenues should be explored. Regarding the 50,000 non-subscriber sales – the only product they offer in this category is one-day pass, which costs £1.00. Or you can subscribe, which costs £1.00 for 30 days (then £2/week). Regarding the Kindle, it’s US$9.99/month – although the first 14 days are a risk-free trial. Given the poor ratings on the Amazon website – mainly the fact it doesn’t turn up until after 10am – I can’t see them selling a huge quantity of them. “The new sites, http://www.thetimes.co.uk and http://www.thesundaytimes.co.uk, are available for a charge of £1 for a day’s access or £2 for a week’s subscription. As an introductory offer, all customers that register for the sites get access to both sites for a one-off charge of £1 for the first 30 days. 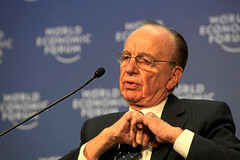 Access to the sites is included in the seven-day subscriptions of print customers to The Times and The Sunday Times. The Kindle was mentioned only because Amazon has an even more amazingly opaque method of releasing sales figures for the device and content sales. My point about the Print subs getting free access was only to avoid confusion about what we were actually discusing – namely the success or otherwise of the paid for access to the online version only. I put the trend data up only to indicate that another subscription paper is getting not far off the raw traffic of The Guardian and the Huffpost – they seem to be getting the best of both worlds – part of the social conversation and a working income stream. This contrasts with the Times approach. Mark Cuban wrote a while back about milking the cash cow whilst you can – The Times strategy seems to be exactly that. By not being part of the online news conversation, they are going to be up against it as print subscriptions continue to decline. I think they’ve dropped from about 700K daily print readers to 500K (2005 through to early 2010). By the way (and it’s not really part of this discussion) News international papers are typically just as um, opinionated as the Huffpost (IMHO :-)). If print sales keep declining, then so far the news is that this level of income isn’t going to keep a paper like The Times afloat. Paul has mentioned the cost they have incurred to advertise the online access – not cheap. As noted in the blog article, even if one takes the Guardian or TechCrunch numbers at face value, it doesn’t really seem likely to be enough to sustain a major newspaper, at least in the way they currently operate. The WSJ strategy is an interesting one, allowing some free access to articles to drive ad revenue and awareness, but really being driven by a subscription model. To pull this off, you have to produce quality, unique content, and right now most newspapers are kind of stuck in the position of all being like one another and easily replaceable (the result of decades of cost-cutting at the expense of quality). Perhaps the “opinionated” nature of the content is a channel in that direction, of having a particular appeal to a particular demographic, of being different from all of the competition. I’m not really sure this is just “milking the cow” as it were, but is more of a “what happens if we….” sort of experiment. As Cuban has noted, there’s no downside to doing something like this because you can always revert, just as the NY Times went back to high levels of traffic after they pulled the plug on their NY Times Select experiment. I do think Murdoch is positioning himself to combine digital, print and television into aggregated packages, which would be a new wrinkle as well. Not sure how happy I am about media getting even further consolidated though…. The idea he puts forth is that a paywall doesn’t work for what we currently think of as a “newspaper” (for the reasons discussed briefly in the comments above, mostly commodification). But it does show an opportunity for becoming something different, a “newsletter” as Shirky puts it, if one can survive on a closed and limited audience. David, Stephen Dunn recently gave a presentation about the Guardian business model at STM Frankfurt (http://river-valley.tv/keynote-beyond-publishing-how-we-open-up-to-our-users/). It is a 60 min presentation, but really helps to understand where they are going. “Waking Up Is Hard To Do” — Nurse Anesthestists Sing It!